The EM1001 consumes around 250mA @ 3.3V of current (PLL on, 100BaseT mode, all onboard LEDs on). There are two ways to power the EM1001. The onboard switching regulator has the 8-20V input range and delivers enough current to power the EM1001 itself, the WA2000 Wi-Fi add on, PLUS external loads with up to 1A of combined current. Proper external reset is not required. The EM1001 has a reliable power-on reset circuit with brown-out detection. You can optionally connect a reset button or some other reset-generating circuit to the RST pin. This will allow you to generate "external" resets. The RST line has active HIGH polarity. If you are not using the RST line you can leave it unconnected. The main clock frequency of the EM1001 is generated by the 11.0592MHz crystal connected to the onboard PLL circuit. When the PLL is off, the EM1001 is clocked at 11.0592MHz. When the PLL is on, the main clock is eight times higher- 88.4736MHz. Naturally, with PLL turned on the EM1001 works 8 times faster and consumers more current (250mA @ 3.3V with PLL on vs. 130mA with PLL off). Main clock frequency also affects the baudrates of serial ports when in the UART mode, as well as the frequency produced by the square wave generator. The PLL cannot be switched off and on while the EM1001 is running. This is because when the PLL mode changes its output needs some time to stabilize. For this reason, the PLL mode of the EM1001 can only be changed on reset. A special internal delay circuit will hold the EM1001 in reset while the PLL frequency stabilizes. The state of the PM pin at power-up or after the external reset (i.e. reset pulse on the RST line) defines whether the EM1001 will run with PLL on or off. To have the PLL on, leave the PM pin unconnected. To disable PLL and run at lower clock frequency ground the PM pin prior to turning on the power or resetting the board. Your Tibbo BASIC/C application can also change the PLL mode programmatically. The Tibbo BASIC/C application can check the current PLL mode through the system (sys.) object (see "TIDE and Tibbo BASIC Manual"). If the PLL mode needs to be changed the application must set the desired new mode and then perform an internal reset (again, through the system object). The internal reset is identical to the power-on or external reset with one crucial difference: the PLL mode is set basing on the mode requested by the application, while the PM line state is disregarded. The function of the MD button/line is described in Setup Button (MD line). The EM1001 board has both the button and the MD line. The button is wired in parallel with the MD line. 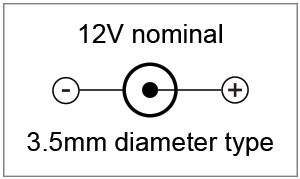 Use an open collector circuit to control the MD line as pressing the MD button short-circuits the line onto the GND.